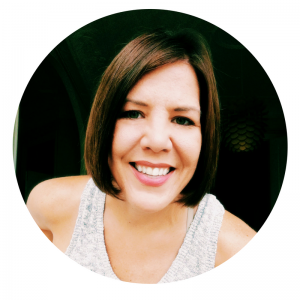 While I have been sick and resting on the couch, I have been cruising the internet and I have found some beautiful things that I think any girl with wanderlust might love! 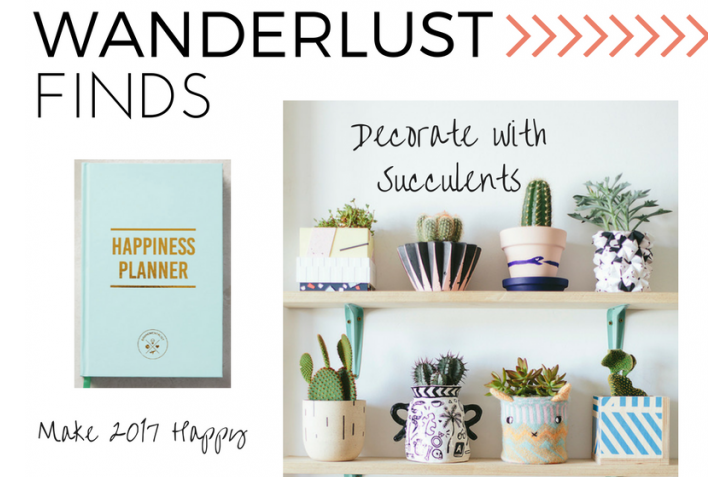 I am positive that these five wanderlust finds will make you happy or make someone else you love happy.. It all started with me looking for some office design inspiration and I happened upon this beautiful display of potted succulents over on Pinterest. I definitely want to do this in our office, although I might have to put some books on the shelves too. This photo lead me to the blog What Olivia Did, and this photo was in an interview she did with a London based designer named Lizzie Evans. I was so happy to not only discover Olivia’s blog, but I also got the bonus of learning about a designer and her adorable London Boutique and Cafe SMUG (which I will need to check out next time I am in London). I love it when the Pinterest rabbit hole leads you to such beautiful places! Where to get fun pots? 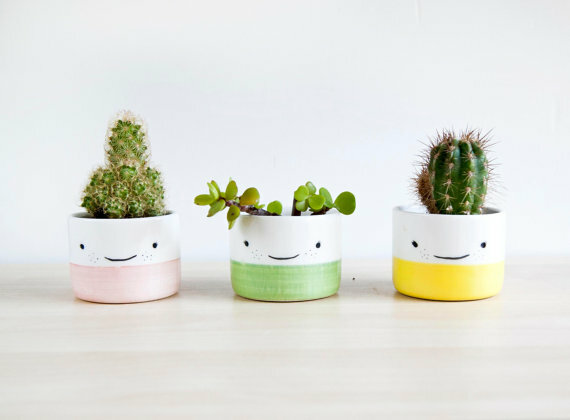 Check out this store over on Etsy, Noe Marin – she has the cutest ceramic pots, planters, bowls, and other fun ceramic items and they are handmade in in Spain! 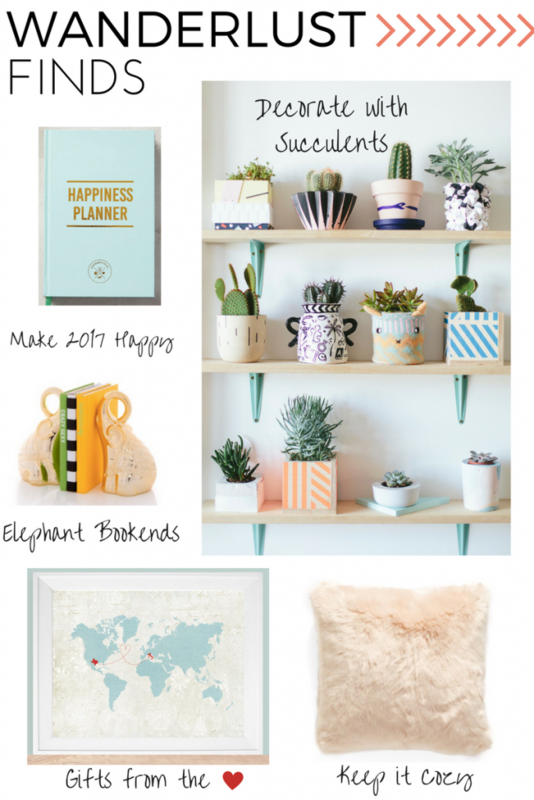 Custom Wall Art – a gift from the heart! This is SO perfect for anyone who lives far away from family. 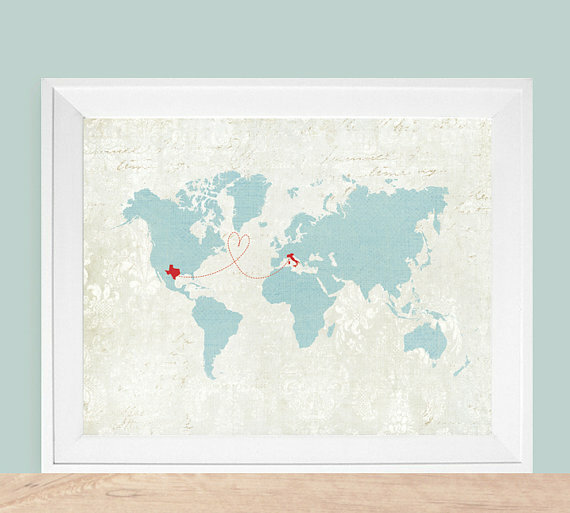 This map wall art by The Here & There Shop is great gift to send to parents or grandparents. The maps are totally customizable and you can fill in as many states or countries as you want. So if you have family in multiple places you can fill in where everyone lives. I am definitely ordering one of these for my mom who lives in Minnesota and connecting it to Spain! These also make great wedding or anniversary gifts too.